YES Jane... with this package, I understand that I not only receive the popular Natural Cure to Fibromyalgia, but I also receive the 4 Quick Action Gifts valued at $143.08 during this special offer... and I receive the entire package (valued at $180.85) for a total one-time fee of only $37.77! I understand also that if I am not satisfied with the package, I have an 8-week unconditional money-back guarantee. The country I am ordering from is not a problem as your secure order processing form accepts orders from almost all countries. And You Also Get Jane's Brand New "Tackling 15 Common Fibromyalgia Triggers" and "Easy Living Framework for Fibromyalgia" reports AND You Save over 17 %! Many of the fibro triggers and the methods of controlling them have come from fellow fibromyalgia sufferers who have found ways to successfully control their symptoms. This report includes both environmental and food triggers so you know what to avoid and what to do to minimize your exposure. The Easy Living Framework report is the perfect companion for all fibromyalgia sufferers serious about controlling and preventing future fibromyalgia flare ups. 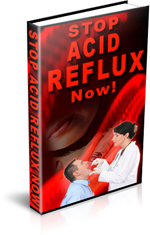 This 37 page report investigates 10 lifestyle changes that can make a huge difference to your fibromyalgia symptoms and quality of life. These two new reports have an RRP of $19.95. 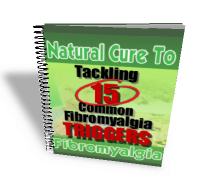 Tackling 15 Common Fibromyalgia Triggers and the Easy Living Framework For Fibromyalgia are the perfect complement to the Natural Cure to Fibromyalgia. This is your chance to grab all three downloadable books – Natural Cure to Fibromyalgia, Tackling 15 Common Fibromyalgia Triggers and the Easy Living Framework For Fibromyalgia in one great package at one great low price. Plus, you get the same great money back guarantee, so there's no pressure on your decision. YES! I want the Fibromyalgia Freedom Collection! 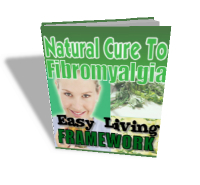 I understand that I will get everything in the Natural Cure to Fibromyalgia basic package as described above, as well as the new Tackling 15 Common Fibromyalgia Triggers and Easy Living Framework For Fibromyalgia reports. I understand that I'm getting a great deal and saving $9.95 because I'm grabbing both of these ebooks together in this package during this special offer. I realize it could cost me $57.72 to buy these separately, but I'm getting this deluxe collection for only $47.77. EliminateFibromyalgia.com - Copyright © 2006 - 2009. All Rights Reserved.